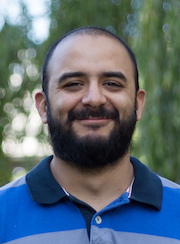 Sebastian Zapata Henao is PhD student in the International Research Training Group "StRATEGy" and holds a master degree in mineral resources from the Universidad Nacional de Colombia. He is staff member in the Geology working group at the Institute of Earth and Environmental Sciences at the University of Potsdam. His master thesis focused on the tectonic evolution and paleogeography of the northern Andes. Now, his research interest is the understanding of the central-andean evolution and the associated foreland basins using thermochronology data combined with sedimentology and basin analysis.